The Classic green fingers gardening twine in a 35m roll or 15m card with handy upcycled cutter - perfect for all your gardening jobs. Also a marvellous staple colour for floristry, crafts and gift wrapping. Made from Dartmoor wool and entirely manufactured in the UK, twool twine continues doing good after its working life by releasing nitrogen as it bio-degrades on the compost heap. How cool is that! Twool say: "Using the wool from our local Whiteface Dartmoor sheep ensures that it’s origins are traceable and that we are supporting British farming. 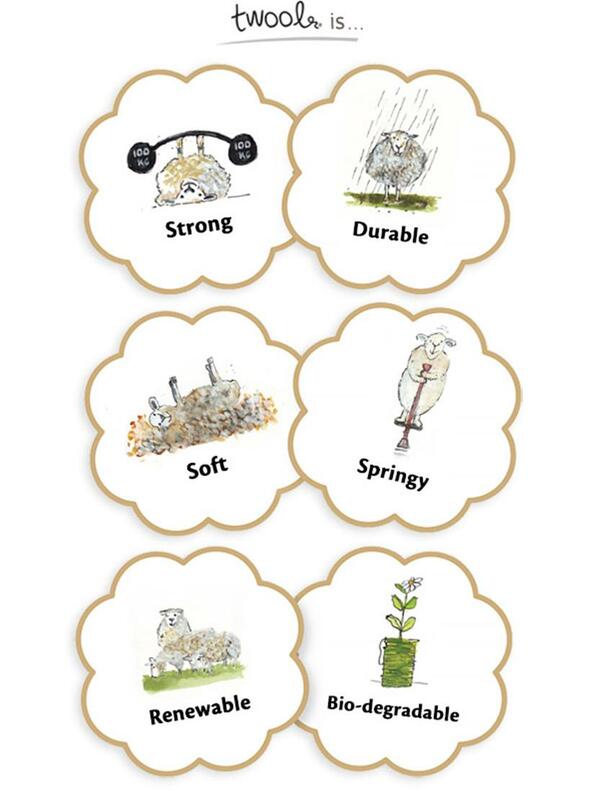 Every manufacturing process is done right here in Britain meaning you can have confidence in the knowledge that you are supporting British heritage manufacturing businesses"
Super sustainable twool twine is the only home grown British garden twine there is. Made in Devon from the wool of the rare breed Whiteface Dartmoor sheep twool twine is 100% British wool and is a versatile strong, durable and supple biodegradeable alternative to imported jute twine. Inspired by exquisite moorland colours the range of twine colours complement flowers and plants beautifully making twool perfect for traditional garden use floristry and crafts.